Dividend stocks are fantastic for older investors who want to generate lower taxed income (only 15% capital gain or even at 0% $19,500 a year in 2012) with potentially lower risk. If you think we are heading into a bear market (which might every well be 2015 because Greek is at risk off defaulting, and will pull out of the European, they might want to get their currency back to better control of their economy as both of the parties are against austerity measure outlined by the EU), losing less with dividend stocks is a good strategy if you want to stay allocated in equities. Rebalancing out of equities may be an even better strategy. I use 40 as the number for younger because Americans are living longer, life expectancy went from 60 back in the day, to 80, 90, or even 100 years old. So, 40 is the new 30. I’m a pro at diversifying. However, it’s very hard to pick a winner. You can read further on how you don’t have to pay a single penny on taxes from capital gain or dividend income here. Here are some arguments against dividend stock for younger than 40 years old investors. 1. Dividend yields relatively low at 2-3% you need a lot of capital to generate any sort of meaningful income. Even if you have a $500,000 dividend stock portfolio yielding 3% that’s only $15,000 a year. Remember, the safest withdrawal rate in retirement does not touch principal. Furthermore, you must ask yourself whether such yields are worth the investment risk. 2. Not Aggressive Enough if You are Younger Than 40 – invest the majority of your equity exposure in dividend yielding stocks is a sub-optimal investment strategy. By the time you’re ready for retirement, you’ve missed out the big chunk of growth. Dividend stocks will provide over 100% returns if you give them a long enough amount of time. When things turn sour, everything turns sour so there had better be more than a 2-4% dividend yield and some underperforming appreciation to compensate. 3. Reach Growth Plateau – Company start paying dividend is because management cannot find better growth opportunities within its own company to invest its retained earnings. Hence, management returns excess earnings to shareholders in the form of dividends or share buybacks. If a company pays a dividend equivalent to a 3% yield, management is essentially telling investors they can’t find better investments within the company that will return greater than 3%. Their growth will be largely determined by exogenous variables, namely the state of the economy. You can see the case with Microsoft and Apple start paying dividend and offer share buy back, when the market of Window and iPhone in the US start growing at 5-8% instead of doubling every year from 2003. 1/29/15 Microsoft drop ~9% after drop in revenue due to businesses has moved to cloud computing. 4. Inherent Risk of Rising Interest Rate – We are now at 12 month highs and a 50% bounce from the bottom. If you believe interest rates are slowly going to rise as the Federal Reserve starts tapering off its quantitative easing, dividend yielding stocks and REITs will significantly underperform the broader stock market. Dividend stocks and REITs act much like bonds in this scenario. How rising interest rates negatively affect the principal portion of a dividend yielding asset just think about real estate. If 30-year mortgage interest rates suddenly climb from 4% to 6%, there is going to be a serious slowdown in demand for new homes because of affordability reasons. As a result, home appreciation will slow or even decline to get back to supply/demand equilibrium. The same thing will happen to your dividend stocks, but in a much swifter fashion like you see below with Realty Income’s 20% correction over one week. Realty Income is down 2% June 2013 vs. 0.95% for the S&P 500 when QA come to an end. Of course there are always tactical opportunities in oversold situations. If interest rates ease off a bit, all these REITs that are getting blow to bits will have a nice bounce. (Since June 2013 the stock has gotten back up from $37 to $58). Who know when you catch a falling knife? 5. Build a large amount of Net Worth First, then slowly doing the switch as you get older. Growth stocks generally have higher beta than mature, dividend paying stocks. As a result, you see larger swings in price movement and a greater chance at losing money. But for someone in their 20s, 30s, and even 40s it’s better to go a little further out on the risk curve for more return because you’ve got more time to make up for any losses. In a bear market, low volatile, dividend stocks will outperform as investors seek income and shelter. We are not in a bear market yet, but who knows for sure. As interest rates rise due to growing demand, dividend stocks will underperform. They may even get slaughtered depending on what you invest in. You’ve gotten to decide how defensive and offensive you want to be. 6. 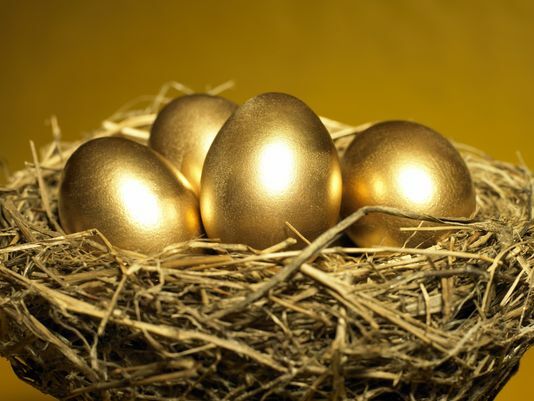 Diversifying – Don’t put your eggs in one basket! The best way to go is having multiple income streams or diversifying in different places. In the second half of our lives is to have roughly a 30%, 30%, 30%, 10% split between stocks, bonds, real estate, and risk free investments like CDs. If you follow such a net worth split, then you already have a healthy amount of assets that are paying you income. That’s why you should be a Well Rounded Investor. Diversifying in Everything, including Cash position. It’s like having an extra layer of insurance to protect your nest egg. You’d sleep better at night, and don’t worry about stock losing 1000 points over 2 weeks period, because your bond, your investment property is still earning money for you. It will take a lot more for the US to go through what we went through in 2008-2011 again. This is why I decided to transition my dividend portfolio into an index portfolio. The index returned close to 20% since last year. However, the MER usually adds up over time and might negate the fees for trading stocks, making it essentially the same. You and I have very similar view. Only you are younger. You have time. I wish I was as financially savvy as you at your age. Good articles there and something I enjoyed reading very much. Thank you for stopping by. I learned many things from your blog. One of the thing about growth stock is if it goes up, you don’t sell, then you can’t profit. Say I bought some BABA, then it went to $120, now it’s back down to the $80s. Where as I buy VZ, or COP, etc the stock price goes up, then down, but I get paid quarterly, I can choose to spend the money or buy more stocks. The only thing is I need to diversify more. Great article and great advice. Thank you pickandsafe for stopping by. After researching, I like the strategies. I’ll post more as I learn and grow. Great article Vivianne. I can tell you that you’re number one reason is one of the main reasons why I’m hesitant to invest mainly in dividend stocks. The idea being is that it’s going to take a lot of shares for the income from dividends to support my lifestyle fully. So, I view dividend income stocks as a means of adding supplemental income when I retire. In doing so, I get the best of both worlds. I reap some of the benefits from investing in dividend income without solely relying on one stream of income in retirement. It’s always good to see the other side of the argument and not only focus on the benefits of dividend growth investing. There is an article somewhere saying that with $100,000 invested in real estate can retire you. The idea was to leverage the money, get into the right market, because you can’t get anything in high cost living area such as San Francisco, NYC, etc. but in the Midwest, there are plenty of houses under $50k to buy.